Only few sports enable men and women to race together as a same team, with the same goals, ambitions and passion. 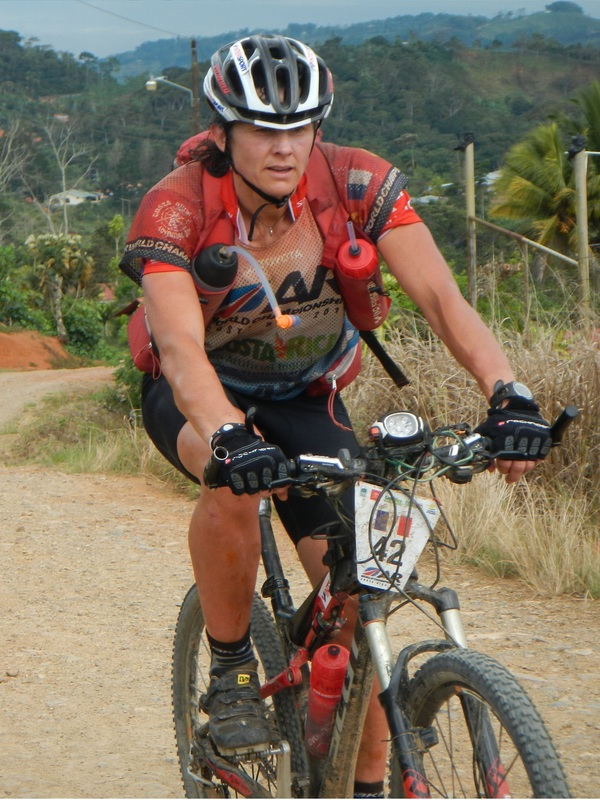 Adventure racing is based, at a national and international level, on this concept. Therefore, girls are a rare pearl for their team partners. Every boys will add that they bring to the team a reliable serenity and a lot of maturity. They barely never give out, and will often rekindle the pace. Whatever the objective is, girls are often a key of sucess. Raid in France pay hommage to those girls and to do so nothing is better than hand over to them. Ladies, Thank you. Why do you compete in Raid in France ? It is, a special race compared to all the races taking place in France… we go through a real adventure as a team and in total autonomy. In every éditions I am constantly blowned away by the landscapes and I have this feeling of really pushing myself. How do you deal with such an adventure ? I real enjoy the concept of «expeditional race », we share with our team some very strong expériences, we stick together and keep on going, we have to practice all different types of activities.. we must be very skilful and I love it ! It’s a real challenge… sporting and human ! We learn a lot on our self, by constantly pushing our body to the limits. But I will always keep in mind the nice moments with my partners.. Most of the times, the toughest times remain as incredible memories ! What are the major difficulties that you have to face ? The most difficult part is to deal with the lack of sleep on 5 to 7 days.. its long ! It is not easy to know when and for how long you need to sleep to then be the more efficient and cohérent as possible on tracks ! Is it hard task to be the feminine of the team ? Maybe one last word ? Thanks to Pascal and to all the volunteers to make this amazing adventure possible. We always like the gréât atmosphère with the volunteers, its a real pleasure that always give us the envy of coming back ! It’s like a love story : it’s a 100% what I expect of an Adventure race. A race that push my limits, makes me thrill, and allows me to leave an amazing expérience on marvellous lands. – When we get lost or when we can’t find the right path to find the marker..
– The battle against rocks in the middle of the night during a kayaking session, 10 times capsized and 10 times back on the kayak, just praying for the sunrise (Edition 2012). – The 2 last hours before our arrival at Serres, when you realise you are going to win. The hardest thing is to deal with the lack of sleep. have a real passion for outdoors sports. I like to honour a contract with a team and especially with Averne Outdoor on Raid in France with Stéphane Dumortier as a team captain. To race in France, on marvelous ladscapes is a real drive. Every regions or department have revealed enormous potential for Outdoor sports. I like this race in France because its beautiful and friendly and the organisation is beyond reproach. The team spirit, help between us 4, how our skills are additional, émotions we have during the race… The availibilty of the volunteers. How proud we feel like we think « I was there » and « I did everything i could to race the best as I could ». How well you feel after such a long physical effort. 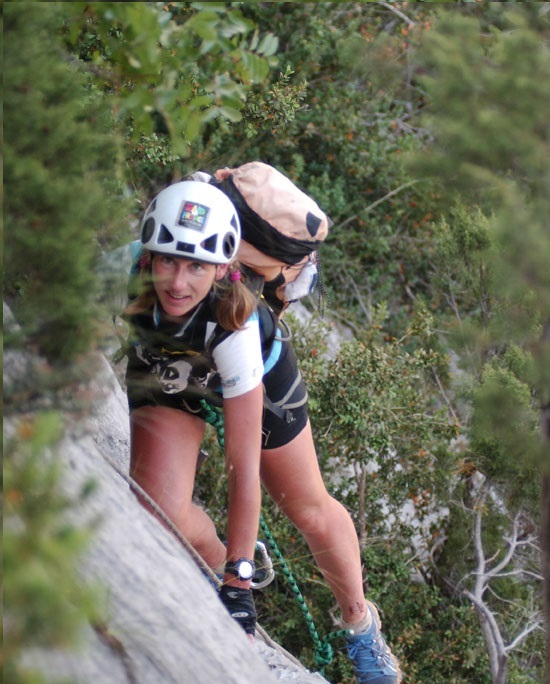 To communicate more about my expérience to collectivities, medias, to my family or my students, in order to developp this activity that for me gives amazing values : pushing yourself, respect of nature, and team spirit. Or, more technically, how to orientate. No, if they treat you as a rare pearl. Yes, if we are consider as « mandatory equipment » and they dont trust us. To be honest, i have never been in such a situation, and for that, thanks to my team partners. I completly assume to be crazy about Outdoors sports and to enjoy sharing this pleasure. I like to meet people with the same values as I and to meet the same goals. To conclude, “I like to do my best”. I love adventure, and love a challenge. So for me, it is always fun to be out in the wilderness, exploring new places, even if I havn’t slept in days. The people, the support we had. It was as good as racing at home, and very humbling to have such wonderful support throughout the race. In RIF in 2012, our team mates had a lot of sickness, both from racing at high altitude for a prolonged period, and possibly from the water. 2 of our guys were very sick and only racing at half their usual strength for a lot of the race. For me, the biggest difficulty is often staying awake ! Is it a hard task to be the feminine of the team ? No. I get well looked after by 3 of the best guys in the world.